Fire Emblem Heroes (Free): you probably know it, you may or may not love it, and I’m certainly running out of ideas for intro paragraphs for it. The game was highlighted as a strong earner in Nintendo’s most recent shareholders’ meeting, and a quick glance at the charts show that it’s hanging on better than Nintendo’s previous efforts. Nintendo has done a great job of supporting the game post release, with near-monthly updates that provide new things to do and various improvements based on user feedback. We’ve just received word of what will be included in the next update, so let’s take a look. The biggest news is the addition of two new modes to the story map battles. Chain Challenge has you completing a series of battles, rewarding you with feathers for Normal and Hard completion and orbs for beating them on Lunatic difficulty. The other new mode is Squad Assault, and like Chain Challenge, it has you completing a series of consecutive battles. The difference is that in this mode, your units will be captured after each battle, forcing you to field a new squad. Hope your roster runs deep! The update will also make some balance adjustments to the recently-added Tempest Trials mode. In addition, the amount of experience you receive has been tweaked ever so slightly to give you more for your punch. There are a couple of UI adjustments, as well. The first is that you can now sort your heroes by up to three different parameters simultaneously, allowing you more flexibility in finding the right characters for the task at hand. The developer have also added a note on Summoning screens to show you when any given Focus expires. That way, you don’t have to go digging to know when the latest banner will go bye-bye. Aside from the 1.5 update, the other big news is that a new Summoning Focus starts today. Titled Ylissean Summer, it gives you the chance to score some limited-edition versions of a few characters. Tiki from Fire Emblem: Shadow Dragon, Fire Emblem: Mystery of the Emblem, and Fire Emblem Awakening is sporting a watermelon or three as she shows off her new swimsuit. The female version of tactician Robin from Fire Emblem Awakening hasn’t quite gotten rid of the robe look, but is definitely wearing something that allows her to, er, breathe a bit more. Balancing things out for those who like the hunks of Fire Emblem Awakening are Gaius and Frederick, both beach- and battle-ready in their finest trunks. As usual, there’s a new Paralogue story chapter to play through for the event as well. 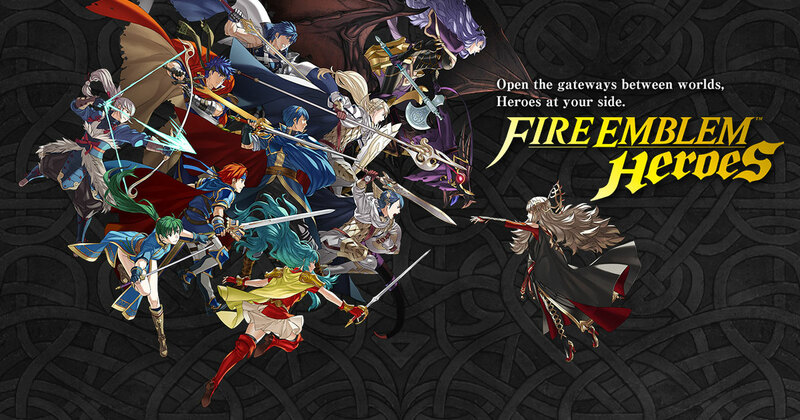 All in all, it looks like it’s going to be a busy summer for those who are still enjoying Fire Emblem Heroes. New modes, new characters, new events, and plenty of sensible improvements show that Nintendo is really taking this game seriously. It will be interesting to see if they can find similar success with the upcoming Animal Crossing mobile game. My hunch is that they will.